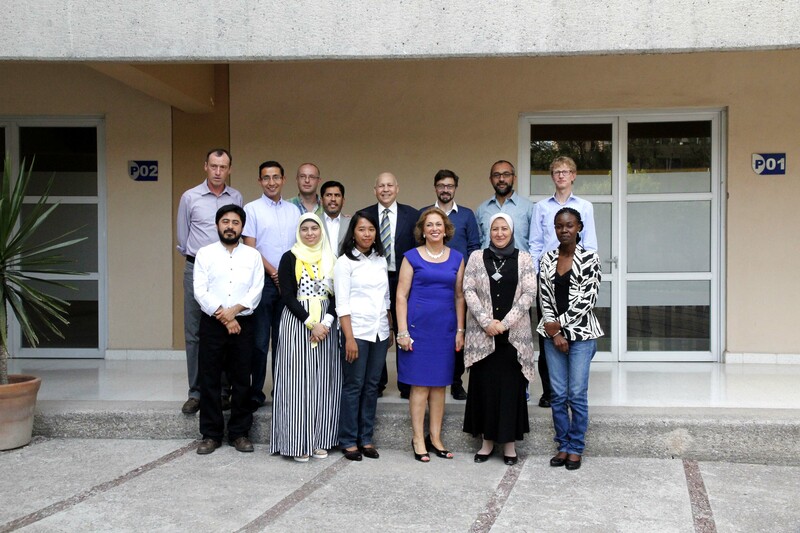 Continuing the workshops’ series of the Curriculum Development of the Interdisciplinary Master Program “Resource Efficient Cities” (IMaREC) which started in Cairo, Egypt in June 2015, the 4th workshop took place in UASLP, San Luis Potosi – Mexico during the period 18th – 23rd July 2016. Four partner universities of the CNRD network in addition to UASLP participated in the workshop: TH Köln, Germany; ASU, Egypt; KU, Kenya; and UGM, Indonesia. The workshop was twofold in that it included activities of both curriculum development and research. The curriculum development workshop aimed at defining course structures, learning units and full description of the four core courses comprising the first semester of IMaREC in terms of course aims/objectives, Intended learning outcomes (ILOs), course content, teaching method(s) and assessment method(s). The research workshop aimed at promoting the concept of resource efficient cities and prioritized relevant topics of the city as a socio-ecological and thus metabolistic system. This was done by developing a systematic urban case study approach for a scalable cities, including Cairo, Egypt (mega city), San Luis Potosi, Mexico and Yogyakarta, Indonesia (medium size cities), and Kisumu, Kenya (small size city) in order to pave the road to draft relevant and specified research proposals responding to calls of bilateral or multilateral funding options. The workshop was enriched by two open sessions with inputs from international guests of topics related to resource efficient cities such as “Urban metabolism and system theory”, “Water efficient urban systems”, and “Introducing urban sustainable model: La Pila”. Professors and students from the different faculties of UASLP joined the opening sessions and participated actively in the discussions. 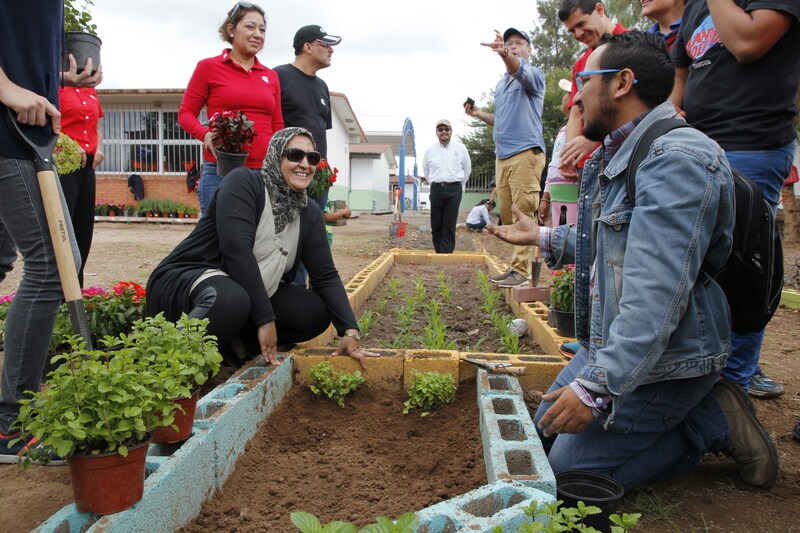 Furthermore, the workshop included a very interesting field trip to explore urban strategies for food production and water management in a local elementary school as a sustainable model developed by UASLP, where sustainable practices of rainwater harvesting, urban farming, greenhouse, fruit trees farm, waste water treatment, soccer field design and photovoltaic design have been implemented. The field trip also included visits to local brick makers and to a social housing development “Villa Esperanza” for exploring environmental-social design aspects and community governance. Moreover, the workshop hosted an important event for strengthen international cooperation; based on the CNRD agreement, a bilateral agreement between ASU, Egypt and UASLP, Mexico was launched with the presence of the Egyptian Consulate of the Egyptian Embassy in Mexico and the Rector of UASLP.